Studies have shown that the appearance of a property management office is strongly correlated with customer perception and employee productivity. A neat and clean and uncluttered environment sets prospective customers at ease and inspires office personnel to bring their "A" game to work every day. That’s why smart business owners hire a professional cleaning service. They know that keeping their office clean and uncluttered has a direct impact on their bottom line. 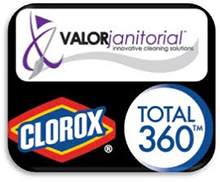 Valor Janitorial is exactly the kind of office cleaning service provider that understands that. We specialize in the cleanup and maintenance of a wide array of commercial establishments in the Dallas-Fort Worth area. We’re particularly experienced in servicing offices that deal with real estate and property brokerage. Years of experience have taught us that the human traffic that comes in and out of a workplace every day carries dirt and microbes along with it. That means disease can spread quickly if the area isn’t kept clean and sanitized. We have just the right kind of knowledge and cleaning gear to remove the dirt and microbes from your place of business. Our highly trained staff knows exactly where to look, what to clean and how to do it quickly and effectively. When Valor Janitorial cleans your office space, we guarantee the least amount of downtime possible that’s appropriate to the size of your facility. We provide the most advanced and state-of-the-art commercial cleaning services in North Texas. Please call our friendly and knowledgeable staff for a free estimates. Or if you like contact us with any of our easy to use website contact forms.